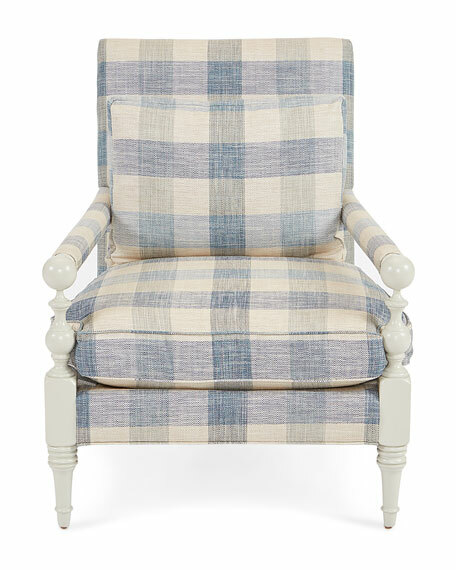 A transitional style chair in light grey finish and upholstered in a buffalo plaid in shades of taupe and blue. Overall, 32"W x 37.5"D x 39.5"T. Inner dimensions, 25.5"W x 21"D x 20"T.
Boxed weight, approximately 68 lbs. 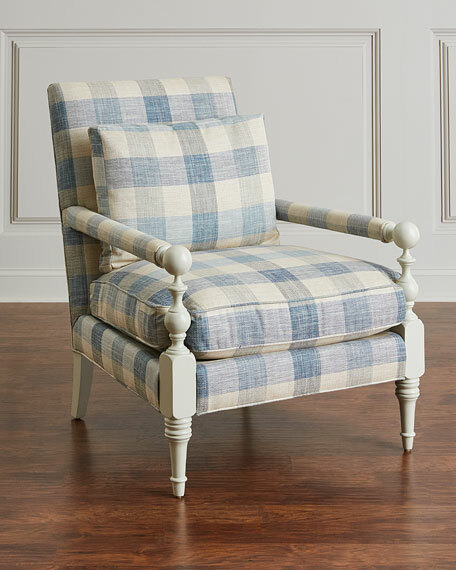 For in-store inquiries, use sku #2481521.